If you suffer from depression, your doctor’s answer is probably going to be an antidepressant. While this might help you feel better for a time, it’s not going to address the underlying cause. But what is the cause of depression? One study wanted to find the cause of major depressive disorder (MDD). What they found might help all depression patients deal with the underlying cause of their condition. The researchers were from the University of Eastern Finland. There they conducted a study in which they evaluated levels of three amino acids (arginine, citrulline, and ornithine) in patients with MDD. They compared 99 adults with MDD to 253 members of a control group without the condition. They were particularly interested in arginine levels because arginine contributes to the production of nitric oxide. I’ve written quite a bit about nitric oxide before. Because it plays such a key role in the nervous system, circulation, energy levels, and even the immune system, it makes sense that deficiencies in this molecule would contribute to MDD. A measure called the global arginine bioavailability ratio (GABR) has been used in the past to determine how well the body can produce nitric oxide. Sure enough, the patients with MDD in the study had low GABRs compared to the control group. The researchers didn’t investigate whether supplementing with arginine could help these patients. However, I think it makes sense that low arginine, which can lead to low nitric oxide levels, would contribute to depression.However, while you can take an arginine supplement to boost nitric oxide levels, that’s often not the most efficient way to do it. In fact, this process gets harder and harder as we age. The good news is that you can effectively boost your nitric oxide levels without depending on arginine. You’ve probably heard me talk about CircO2 before. This nitric oxide supplement is derived from extracts of herbs and beets, which are among the best ways to boost nitric oxide levels naturally. If you’re currently receiving treatment for depression, you should never discontinue that treatment without your doctor’s supervision. But you could discuss adding CircO2 to the mix. 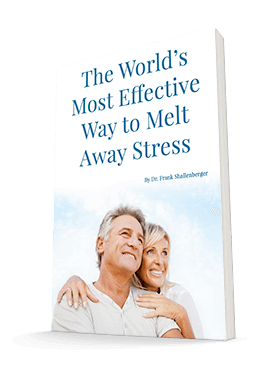 Many of my readers and patients appreciate the energy boost and cardioprotective benefits of this supplement, and you may find that it helps lift your mood as well.